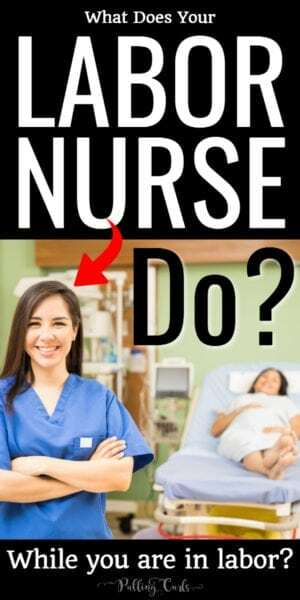 What Does Your Labor Nurse Do? 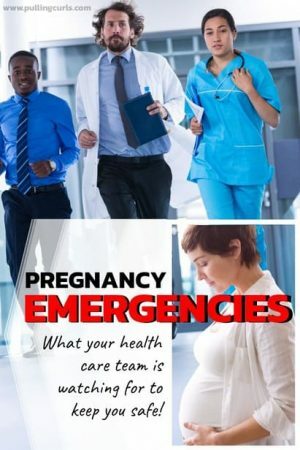 You are here: Home / Pregnancy / What Does Your Labor Nurse Do? What does your labor and delivery nurse do? 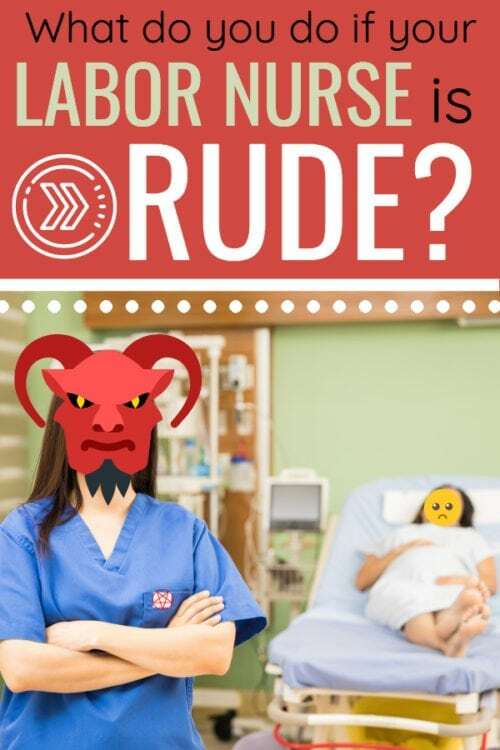 How many nurses will you have, can they deliver the baby — and what do you do if they’re rude? This post is ALL about L&D nurses from your favorite labor nurse. It’s easy to think that nurses just give shots and put in IV’s. But, there is a lot that you labor nurse is doing behind the scenes. What exactly DOES your labor nurse do all day, and what do you do if you don’t like her? Can your nurse deliver your baby? The long answer, no. The nurse should NOT deliver the baby. But I certainly HAVE delivered babies before. One of our jobs is to make sure your doctor knows to come, so we make sure that happens. If they miss the delivery, it will come back to us to see what we did wrong (and sometimes, we didn’t do anything wrong, babies just decide to come sometimes). Loads and loads of charting. Labor & Delivery is one of the most litigious areas in the world. We live in constant fear of being sued and our charting shows. There are times that we chart every 15 minutes on you and your baby for hours on end. EVERY. FIFTEEN. MINUTES. Crazy, right? Most places in the hospital, you get an assessment plus a few vitals every four hours and that’s it. So, when you see her typing away — it’s likely all numbers and values that are meaningless to anyone else (and likely also meaningless to the world and entirely useless). When my trainer trained me, she told me to know everything that’s going on with my patient without looking at the monitor or checking her cervix. How is she feeling, what’s her color — the sound of her moans. It really can tell your nurse a whole lot. Also, if you want a photo — don’t hesitate to ask her to take a picture of you guys — I’m always happy to do things like that. I’m like a boy scout. I love to be prepared. I have your epidural stuff ready. I am getting stuff ready for delivery. I’m constantly getting stuff ready for the next step. And yes, if things aren’t going well — I may be prepping your C-section. Doctors want us to be two steps ahead of us. We’re superheroes like that. When we’re not in our room, we are likely at the nurses’ station watching all the strips. We’re seeing if anyone needs help or could use a hand. We’re seeing if someone else needs something prepped. We are a total team. We have to be — one human can’t often do what we need to do. Having co-workers that have your back is essential. I’m very lucky that way. It’s our job to keep them updated on you and your baby’s well-being. It’s our job to know when they want a call, and when they don’t. We all work on ESP (mainly when we get an earful about how they DID or DID NOT need that phone call). Super fun. BTW, dealing with doctors is the hardest part of our job. It is our job to be your doctor’s eyes and ears. I know a lot of people get nervous that their doctor isn’t there — but we are there and we have built a great deal of trust in each other. We have courses and classes we have to take. We have certifications we need and they all require upkeep. We’re reading new literature and reading new articles. We’re discussing them as a staff to see how we can best implement them. We’re learning about new supplies and new policies. They’re always updating. Often we’re in another room with our other patient. in general, if you’re in labor, we won’t have more than 2 patients. Although, if you’re in triage — we can have more than 2 patients. And, when life goes insane — we might have more than 2 patients. Yes, I’ve delivered in hallways and in wheelchairs. It is what it is. At least it wasn’t in their car — right? Related Post: Is a doula worth it? We pee and eat, but it’s rare. I’ve had plenty of times that I didn’t get a lunch break. Life goes on — what I do need is eyes on your monitor all the time, and if that can’t happen — I don’t go. We are truly your lifeline. Take us for that. Ask us questions, tell us what is making you nervous so we can help calm you. We deliver every day. It’s our job, we love it and we’re here to help. Sometimes, people wonder what they can do as a gift for their labor and delivery nurse << I have a post all about that. Rude Labor And Delivery Nurse? Well, I answer this pretty completely in my prenatal class — but the short answer is that you can ask for the charge nurse to see if there can be a change. Sometimes there can, and sometimes there can’t. BUT, hospitals want you to be happy with your stay — so try to communicate with management if you are unhappy. And, if a change can’t be made — try to make the best of it. Does labor still hurt with an epidural? This post was originally written in 2017, and has been updated. This prenatal class is a minature of version of my prenatal class -- and is totally FREE! Success! Be sure to confirm it to get my totally free prenatal class! I love this behind-the-scenes look at something I’d never considered before! Thanks for educating me. 11 years late for my labor needs! I had a wonderful set of nurses deliver my daughter and then shift change came and they all left. The devil was on the next rotation. She was ornary, she scolded me multiple times within an hour of delivering and I was an emotional mess. Fortunately my mom stepped in and requested a change. The evil nurse came by later to apologize. Apparently she was called in at the last minute and hadn’t slept enough. But was much sweeter after a cup of coffee. Nurses are people too! Even the difficult ones. The night I was induced after having elevated blood pressure for 3 weeks and decreased fetal movement, a L&D nurse told me “I don’t even know why you’re here. Your blood pressure and urine seem fine to me.” She came back the next night while I was delivering and told me I wasn’t working hard enough because I wasn’t sweating and that if I really wanted my baby here I would work hard enough to sweat. Maybe that approach works for some people but it just me. I was scared and exhausted and no one in that room gave me any reassurance or support. Horrible experience.